According to legends, Ganesh Chathurthi is the birthday of the God of Wisdom. Though the celebration lasts for 5 to 10 days, the preparations start one month prior to the actual date. Generally there are pujas, fasting, chanting and singing accompanied by immersing the idols of Ganesh in the sea. If you are holding Vinayaka Chathurthi function at your home, then Yoovite.com has an online invitation tool by which you can invite your friends and relatives over. The main aspect about ganesh chaturthi is purity and hence you should purify your home for the auspicious occasion. You have to extensively clean your house and whitewash the area where you place the Ganesha idol. You have to keep new Ganesh idols in the puja room of your house in the evening. 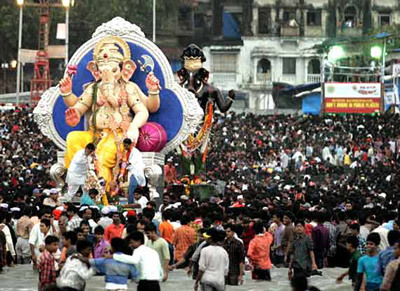 You can conduct the special prayer to Ganesh called “Sthapana” by gathering your family around the idol. As a devotee of Lord Ganapathi, you should drink the holy water, perform pranayama and chant devotion to the sounds of bells, cymbals and clapping. In addition, you devote flowers to the idol. This is a very important ritual. You immerse the idol of Ganesh in the sea, lake or ocean in a ceremonial way. It depicts Ganesh’s return back to the heavens until his next birthday. You also can carry aarti lights, sing bhajans and do pujas alongside the water body. You also should fast and offer food and sweets to Lord Ganesh. The most famous dish is a sweet called “modak”. It is a type of vegetarian dumpling which is sweet. You should stick to vegetarian diet during this festival. You can make sadyas, porridges etc. The festival varies based on the location in India. The cuisine will also vary hence. 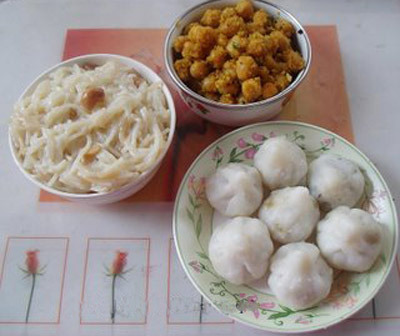 In addition to modak, there are other Ganesh Chathurthi special dishes and sweets as well such as Besan Ke Ladoo, Kaju Ke Barfi, Karanji, Motichoor Ke Ladoo, Puliyodarai, Puran Poli, Rawa Ladoo and Moong Dal Ka Halwa. There are several gifts that you can think of during the festival. Ganesh idols are the best gifts in the occasion. You can buy your friends and relatives Ganesh idols made of wood, stone and even plastic depending on their likings. You can also gift them with Lord Ganesh wall hangings. Another great gift is the Ganesha Chaturthi Hampers. You can get these when you buy stuff during the festive season. Yet another gift is Fruits & Subha Torans. Finally you can also buy them Pooja Mandirs for their house. You can include your Vinayaka Chathurthi greetings in the Yoovite invitations.